What is a North Carolina Quit Claim Deed? North Carolina Quit Claim Deed: What Is It? 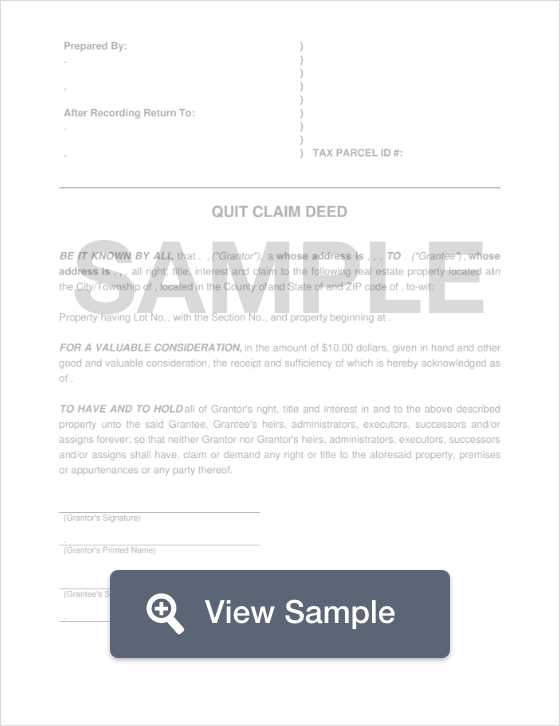 A North Carolina Quit Claim Deed is a legal document used to convey property from one person to the next. Quit claim deeds differ from warranty deeds because they provide no warranty or guarantee that seller has the authority to sell the property, and that the title of the home is clear. It is always wise that the buyer conducts a thorough title search in the property before moving forward with the purchase to ensure that there are no encumbrances. Recording - After being notarized, the document should be filed with the Register of Deeds in the county where the property is located.